Property entry | Local 24hr, 7 days a week, emergency locksmith. Do you need to gain entry into your property? 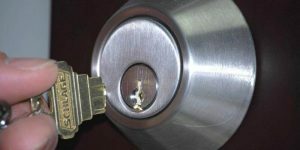 It’s possible to be locked out of your home easier than you might imagine, there are many reasons such as lost keys, faulty door mechanism and a snapped key in the lock. As professional locksmiths accredited level 4, the highest degree of locksmith and with years of experience we’ve seen and dealt with nearly all eventualities. The skill that separates a poor locksmith and a good one is the attempts at a non-destructive entry. If the lock can be picked for example, it reduces any risk of damage the rest of the door. In certain situations the only way a locksmith is getting in is by snapping the lock with professional tool or another destructive method. Non-destructive entries tend to be cheaper for the customer too as you wont have to purchase a new lock for example. Each situation is assessed firstly over the phone, we try to gather as much information as possible to save time when the job starts. That’s why its important to Contact Us with your problem, the mobile number is open 24 hours a day. Give your local south coast company a call. 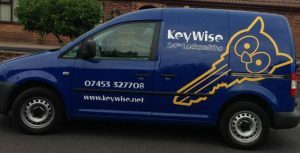 At keywise we pride ourselves on customer satisfaction, it all comes with the passion for keeping people same inside their homes and keeping there hard earned property safe. That’s why we think its important to keep yourself from even getting in an awkward position. Never leave windows open or back doors open when you go out as an option to get in. Don’t leave key’s under the mat or any other hiding spot, a thief can be watching or come looking. Invest in a key safe, we do not recommend the very common cheap ones. For insurance grade options call keywise. Leave a spare set of keys with a trusted family member. Call KeyWise for a free security check.